When you cook, you like to make a meal you can be proud of and serve it up with style. 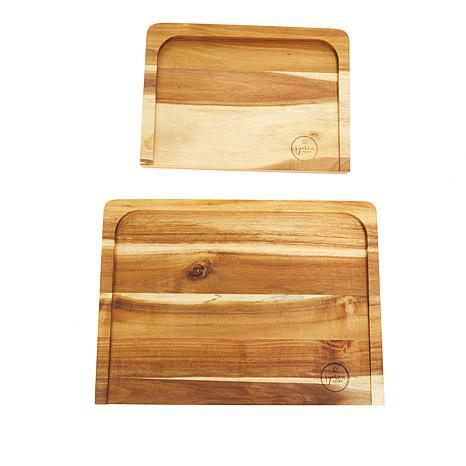 This beautiful set features two boards that are sloped on one side and flat on the other, so they double as carving and serving boards. 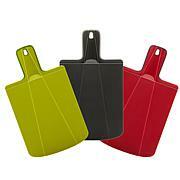 The sloped surface allows juices to collect in the well and away from your food as you carve or slice it. 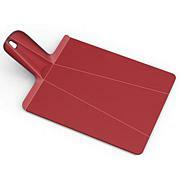 The flat side is perfect for serving appetizers or cheese. You're about to reach your presentation goals. 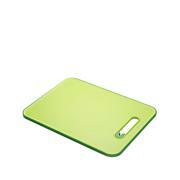 these cutting boards are not only very high quality but they are beautiful too! dont forget to oil them when you get them and occasionally after that. i love the fact that they are both two sided. very happy with my purchase! What a great idea! No spillage at all! 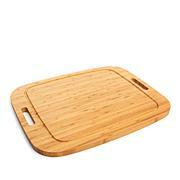 I wish I had these cutting boards sooner. Love them! !